At the moment, only our chocolate ball packages below are available for shipping. 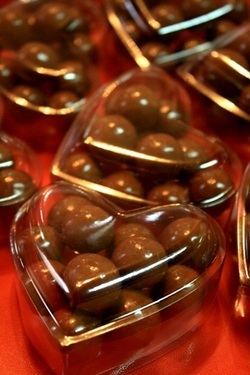 Other chocolate items in our website cannot be shipped due to their delicate condition. Shipping cost will be added to the total price of the items ordered. Shipping cost starts at P490 (for about 50pcs small giveaways) via LBC Express and varies depending on location (Metro Manila, Luzon, Visayas, Mindanao). Solo case colors: brown, gold, red. Comes with ribbon and personalized message card. Approximate case size: 4x2 inches. Approximate case size: 3 inches height. Available in box colors light pink, light blue, and gray. Comes with ribbon and custom card. Available in box colors gold, silver, red, and white.